Battery to Midtown. It is an awesome experience. (See separate article). The only Westside piers still serving passenger ships from the major cruise lines are the three finger piers that jut out into the Hudson at a 90 degree angle between 46th and 56th Streets. 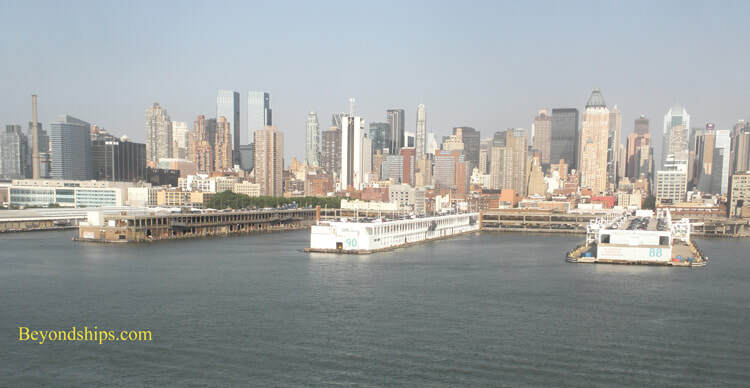 The three piers are now officially the Manhattan Cruise Terminal although many still call them by their old name - - the Passenger Ship Terminal. accommodate the 1,000 foot long ocean liner Normandie. supplies. Pier 90 received less extensive renovation. Approaching and leaving the three piers can be challenging for sea captains. A ship coming up the Hudson must make a 90 degree turn across the river's strong current. A ship leaving the piers must back out into the current and then execute a 90 degree turn. Even modern ships sometimes call for tug boat assistance. In contrast, getting to and from the Manhattan Cruise Terminal is relatively simple for passengers. Indeed, the piers are within walking distance of such transportation hubs as Grand Central Terminal and the Port Authority Bus Terminal. Guests often walk to Times Square and other midtown attractions during overnight calls. Each of the piers has three levels. There is long term parking on the top level. Taxis can drop off and pick up passengers on the second level roadway. Buses use the ground level roadway. The roads surrounding the Manhattan Cruise Terminal can become quite congested during peak embarkation hours, especially if there is more than one ship calling. Passenger Ship Terminal. Norwegian Cruise Line bases two ships there year-round. 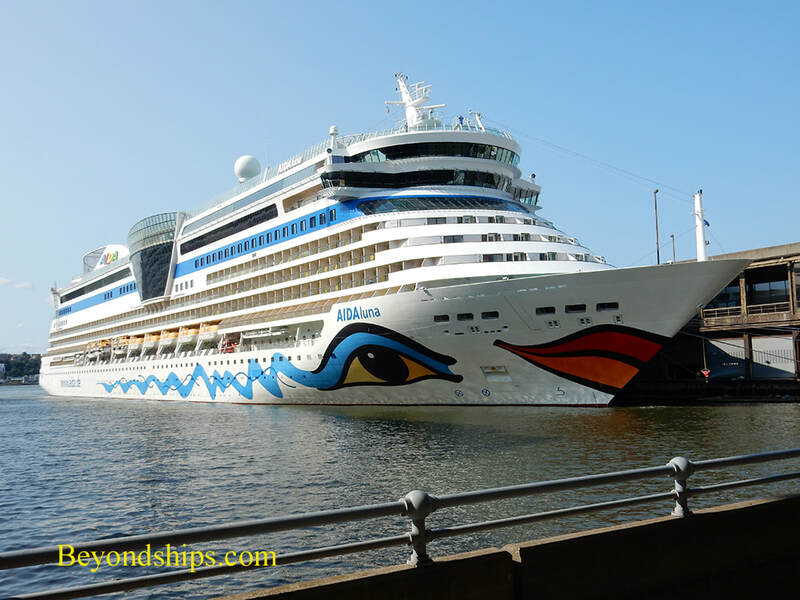 It is used seasonally by several other lines including Carnival Cruise Lines, Oceania, AIDA and Holland America. Other lines use the Manhattan Terminal on an occasional basis. 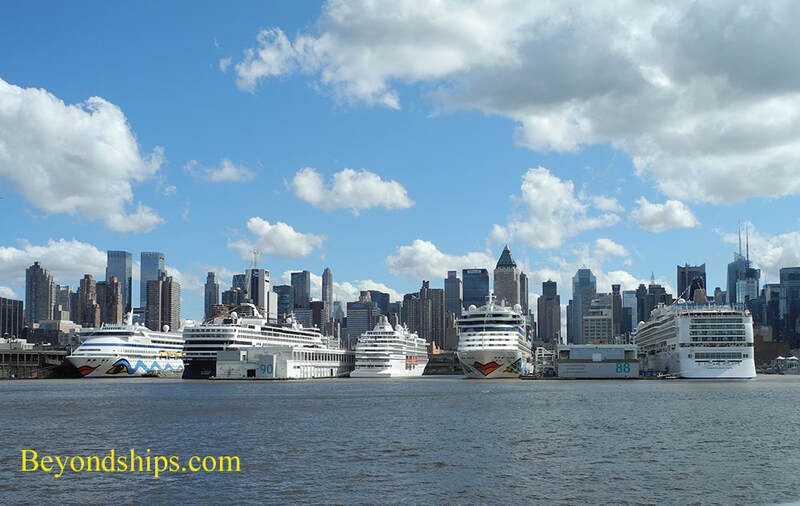 Above: Full house - - five cruise ships at the Manhattan Cruise Terminal. 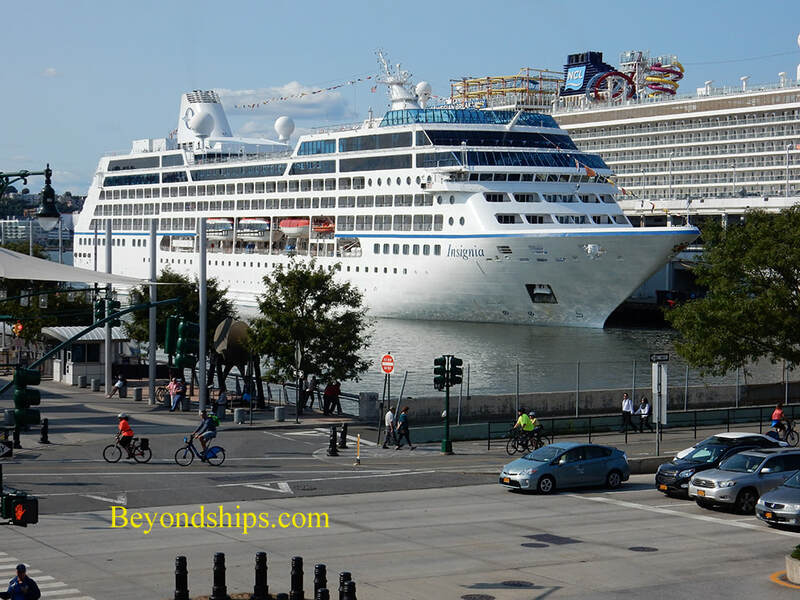 Below: Oceania Cruises' Insignia at Pier 88. 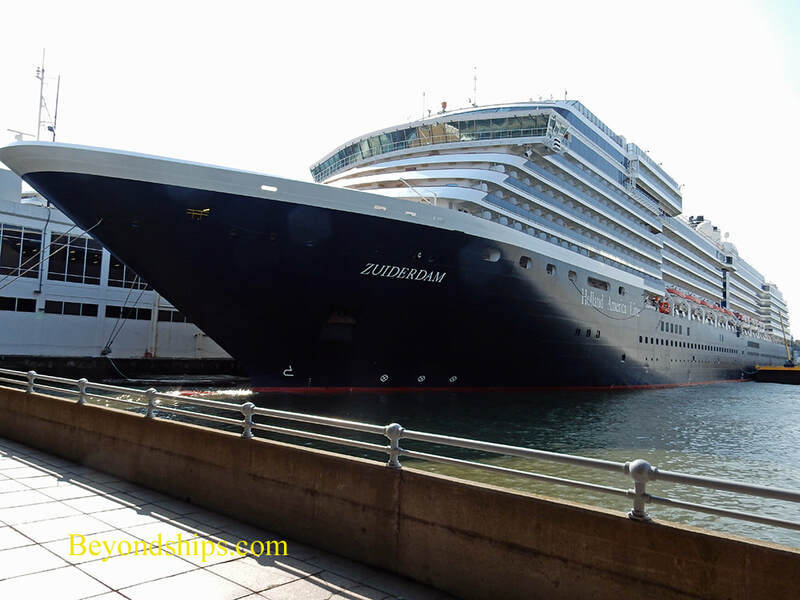 Above: Holland America's Zuiderdam at Pier 90. Below: AIDAluna docked at Pier 92. 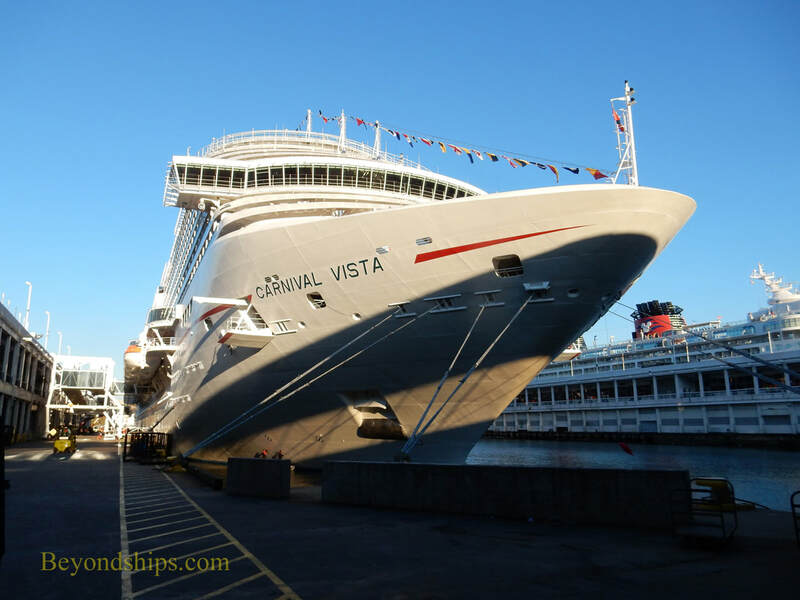 Above: Carnival Vista at the Manhattan Cruise Terminal for her official naming ceremony.